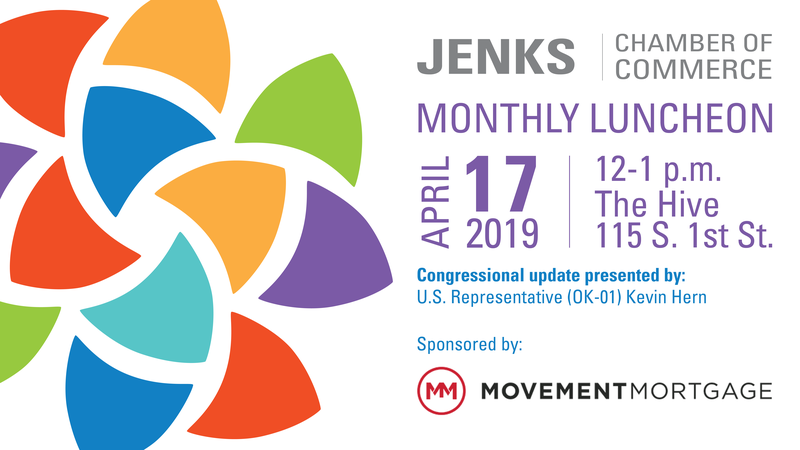 The Jenks Chamber of Commerce hosts a luncheon on the third Wednesday of each month featuring networking opportunities and a speaker targeting business development, legislative policy, career coaching and other important topics. April’s luncheon will feature a congressional update presented by U.S. Representative (OK-01) Kevin Hern. Register by Monday, April 15 by 4 p.m. here. Luncheons are $15 for members and $20 for nonmembers. Check our Facebook page for speaker details and updates.